Glenn E. Martin wants to focus more conversations on “going further upstream,” or “… paying attention to how people get into the system as opposed to reentry – which is like building an emergency room to solve cancer”. Although we will address recidivism later in our prison reform series, Glenn finds it unfortunate that many organizations are “…more concerned about helping the large number of people who have been damaged by the system than going upstream and stopping the bodies from going into the system”. Mr. Martin is sure to point out that each person, like himself, who finds themselves entangled within our penal system have individual stories and individual responsibilities, but many of these lives have strong common themes that have linked them to handcuffs. We need to look at different points on the continuum to identify these themes and, in effect, where the system as a whole is failing many of our fellow Americans. But why should all Americans care about a segment of our population? We should all care because the segment is massive; the United States has a fifth of the world’s population and yet our free republic boasts 25% of the world’s prisoners. We should all care because the dirty little secret is so widespread across the states that 65 million of us have criminal records that limit our opportunities. We should all care because this imbalance threatens our freedoms, our security and our values as Americans. Mr. Martin contends that our priorities are unbalanced; if we can pay $176,000 per year per person at Riker’s Penitentiary, then we have the resources to positively intervene “upstream”. What can we bolster with our resources to stem the tide of new entrants to our prisons? Though there are a wide range of causes, today we will focus on education, socioeconomics, race and juvenile discipline. Education “The criminal system is a repository for people who fail out of the educational system.” Glenn’s words are harsh but they are simply a reflection of the data; education is one of the primary factors that impacts incarceration rates. 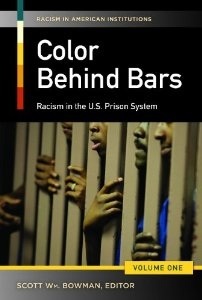 According to a Bureau of Justice Statistics Special Report in 2003, people within the correctional system have earned a significantly lower educational level than the general adult population in the United States and these discrepancies demonstrate the importance of strengthening our educational systems. -31% of those serving probation sentences. Yes, there are exceptions to the concept of prison as a repository for our education system; Piper Kerman, whose memoir is the inspiration for the Piper character in Orange is the New Black, is one arguably the most famed former prisoner now in our pop culture. She she is an outlier to the data as a daughter of upper middle class parents and a graduate of Smith College. On the other hand, Glenn was fortunate to have earned his high school degree, but he had no model for continuing on with his education. Even his guidance counselor directed him to the military with the inference that college was implausible for him because of his finances. Mr. Martin reflected on the intangibility of higher education; you tell folks that grew up in inner cities that they could have gone to college, “…it’s like saying to someone, ‘you should go to India when you’re dirt poor and living in the hood somewhere,’ it just doesn’t register”. In fact, it was not until his orientation into the upstate prison that Glenn could envision college as a possibility. A correctional officer, referencing Glenn’s academic performance on his admittance testing, was the first person to tell him he should have gone to college. Glenn credits this as the first thing that turned around his life. What else does Glenn credit for his personal transformation? Reevaluating his perspective and his role in the world through his undergraduate coursework in prison also led to his evolution. The liberal arts education he never imagined challenged the narrative he grew up with as a half African-American and half Caucasian young man in his community. He says that he was aware of other peoples’ struggles, but it wasn’t until his Sociology professor screened a Holocaust film in which piles of naked bodies were being plowed that it truly resonated with him that other peoples have had their struggles and enslavements, that “there is more that connects us as humans than there is that separates us”. Race and Socioeconomics Glenn’s enhanced worldview does not ignore the inequities that plague most of the systems within our country and the impact it has on people of color and the impoverished. He cites the system of invisible fences around inner city neighborhoods that are figuratively installed by society and literally reinforced by police officers who tell the residents where they are and are not allowed to go. He also refers to the scourge of violence that people of color inflict on each other because the culture teaches them not to value themselves or anyone who looks like them. With a diminished quality of education, access to the world and sense of self, one can certainly draw conclusions about the disproportionate number of poor and ethnic minorities in our jails. School Discipline and Juvenile Justice: Adolescents are known to be at the height of impulsivity, and, unfortunately, they can make decisions that can adversely affect their future circumstances. How adults in authority and our society as a whole responds to juvenile indiscretions is key. Unfortunately, Glenn feels that we have allowed punishment to be the reigning default throughout our institutions. “If you’re a hammer, everything’s a nail,” Glenn metaphorically spoke of law enforcement in schools on a MSNBC segment, “Rethinking Discipline in the Classroom”. Within this context, a school yard scuffle can transform a trip to the principal’s office into a trip to the precinct. “We have criminalized behavior that wasn’t considered criminal just a few years ago,” Glenn postulated in our interview, “I don’t even know how you mix children and zero tolerance in the same sentence?” He understands the litigation and other pressures that educators are under, but he wants to remind them that every infraction to the code of conduct does not necessitate a student to be removed from class. Instead, Mr. Martin believes that teachers, nurses and counselors are our children’s advocates. Regardless of how unnerving even juvenile detention can be, an early introduction to the justice system can be detrimental. Dr. Bowman speaks about reforms for juvenile justice, “In order to reduce juvenile offender risk — no different than adult risk — there needs to be effective, realistic reentry policies that provide offenders with opportunities as sustainable employment. This is especially true for juvenile offenders, as they are still in formative, developmental stages as initial offenders.” Given their impressionability, he believes that minor offenders should be allowed non-punitive second chances. Zero-tolerance law enforcement should be mitigated and the age to try juveniles as adults for smaller mistakes, such as drug offenses, should be pushed. Engaging Citizens Whatever issues contribute to our swelling incarceration rates, its time to move further upstream and redirect the currents for all of our youth. Glenn E. Martin wants to engage Americans of all backgrounds to discuss how to reduce our prison population by looking at the issues from all angles. He is developing JustLeadershipUSA as an active forum in its multifaceted mission for reform, “Together we can redefine justice”. Harlow, Caroline Wolf. Education and Correctional Populations. Washington, D.C.: U.S. Department of Justice, Office of Justice Programs, Bureau of Justice Statistics, 2003. Web. “Rethinking Discipline in the Classroom.” Craig Melvin. MSNBC. 1 Nov. 2014. Television. The NaMo India: A superpower in the making or the ultimate failure?